Performance Tool offers a commercial strength 50ft retractable cord reel featuring polarized plug and 3 grounded 10 amp outlets & a spring loaded auto-rewind. 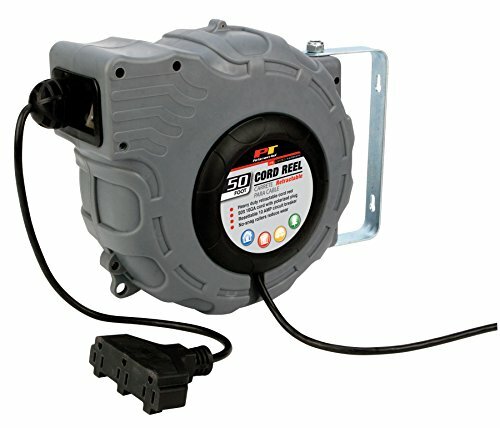 The W2273 retractable cord reel is perfect for home, shop, or outdoor applications built with a durable steel housing to protect in all environments. Mounting brackets are included for your convenience. If 50ft is to long for your needs check out our 25ft opinion W2272.